Cakes, Cuppies And Other Confections: I took a new adventure! I took a new adventure! Have you ever worked on a project, got about half way through and thought “This is ridiculous! I’m done. I’m not finishing this!” But then you start to feel guilty about not finishing so you finish the project begrudgingly? And then you complete the project and start thinking “I’m a freaking rockstar!”…?? I recently made and decorated cookies and this entire cycle happened to me. I loved the baking part and used a nice recipe for no spread sugar cookies with a hint of almond flavouring. I then made some really nice royal icing and coloured it in all the colours I wanted. I even took the time to make little disposable piping bags out of parchment paper. 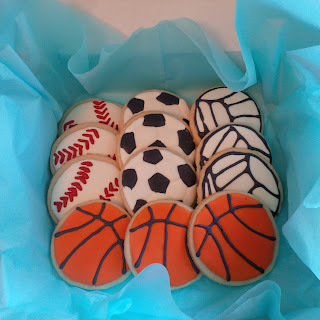 The cookies were to be sports ball themed and I had all my designs ready and since decorating cookies is still rather new to me, I had done extensive research and watched multiple videos on the correct techniques. I got everything ready and sat down at my kitchen table and got to work. I purposely baked extra cookies so I had a few to practice on. A rookie mistake I made was not realizing how much time was needed for a colour to dry before adding more icing. (Apparently it is hours). I also didn’t realize just how spreadable the icing consistency was and it doesn’t always stay in the lines you want it too. I was quite frustrated with myself at the half way point. 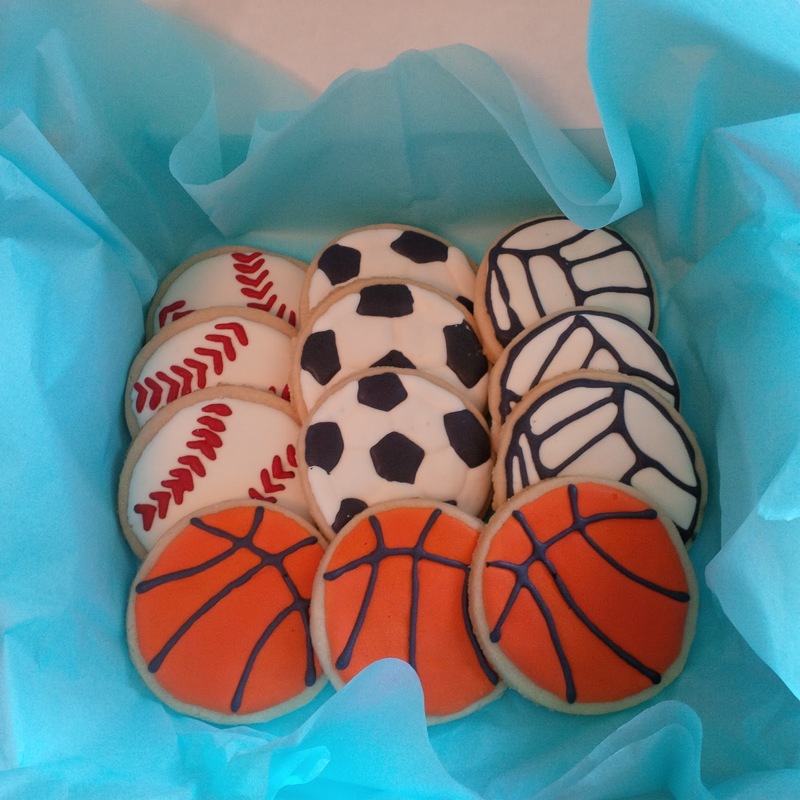 I had to do each cookie in stages to make sure the lines on the ball was visible, so I had trouble picturing the end result in my mind and I didn’t like how they were looking midway. I wanted to wipe off all the icing and start over on several occasions but with royal icing on a cookie…starting over isn’t as easy as it is on a cake. I trudged through the rest of the project and when I got to the end I was so impressed with myself! The cookies turned out exactly how I imagined they would. According to my official taste testers, they tasted great, and the customer loved then and they went over really well at her party! Would I decorate cookies again? I’d have to think long and hard about it and my arm might have to be twisted a little. They took a lot of time and patience but the end result was great!